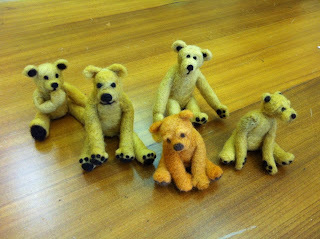 Bears from my workshop. Super sweet little characters came to life, and a great bunch of students who picked up the technique so quickly. A pleasure to teach!